We’ve Reached Two Stretch Goals! We Funded, Reached a Stretch Goal, and Now Hugos! 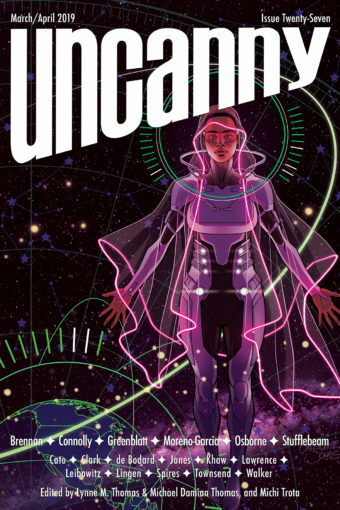 Uncanny Magazine Is 92% Funded with Two Weeks to Go! Uncanny Mini Interview with Future Uncanny Web Designer Jeremiah Tolbert! Uncanny Mini Interview with Year One Contributor Sofia Samatar! Uncanny Mini Interview with Year One Contributor Liz Argall! Uncanny Mini Interview with Year One Contributor Diana M. Pho! Uncanny Mini Interview with Year One Contributor Galen Dara! New Backer Level: Elise Matthesen’s Haiku Earring Party In A Box!